De Roode Loper as a ‘go-between’ for your customer. Since 1999 De Roode Loper has become an authority in the expert sale and installation of stair runners. The custom-design collections offer surprising options for special projects as well as meeting specific requirements for homes or businesses. A stair runner is a project in itself and every staircase, in effect, a new ‘specific’ situation. Every staircase and every situation deserves a good explanation, advice and a clear presentation of what can be expected. Good teamwork with the best specialists guarantees the finest results. We have vast experience of cooperating with architects and decorators. 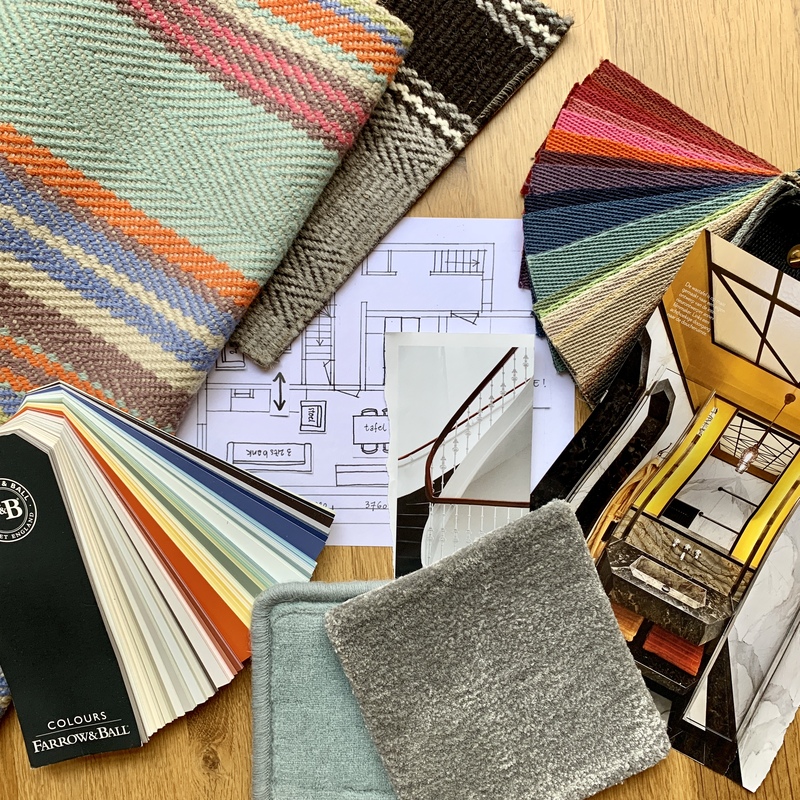 In our showrooms in Leiden, Utrecht and Hummelo we offer colleagues in the world of interior design a chance to share our advice and collections with their customers.